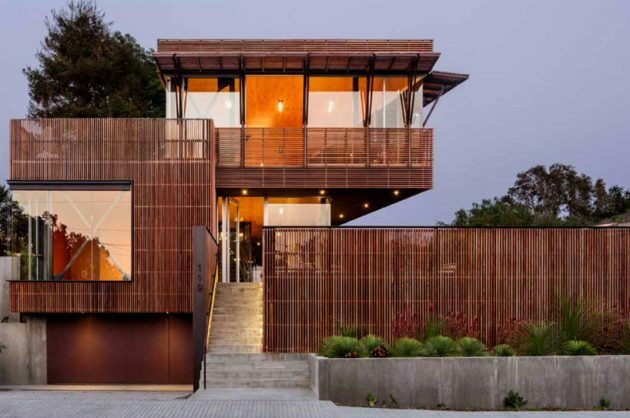 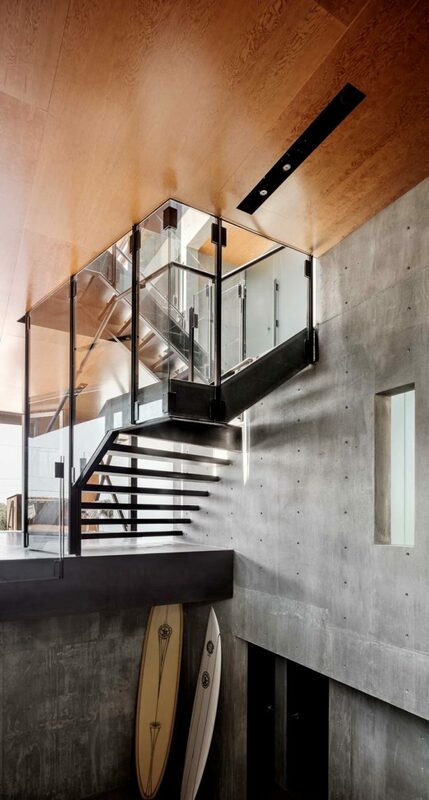 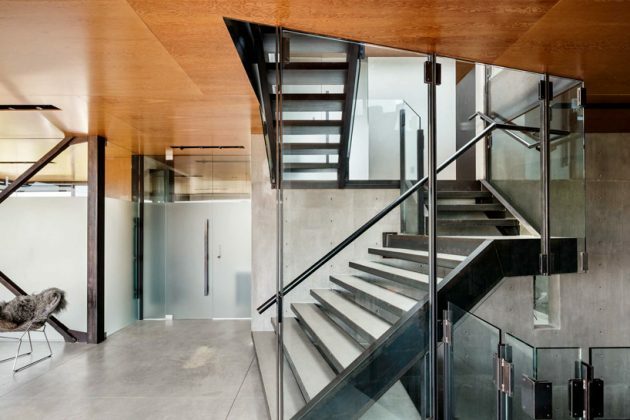 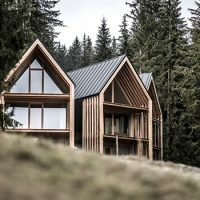 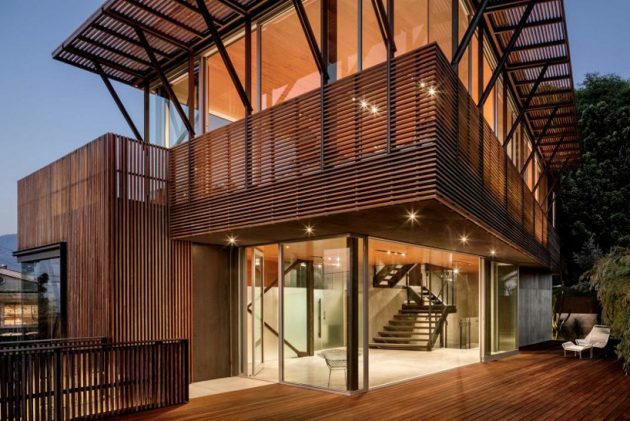 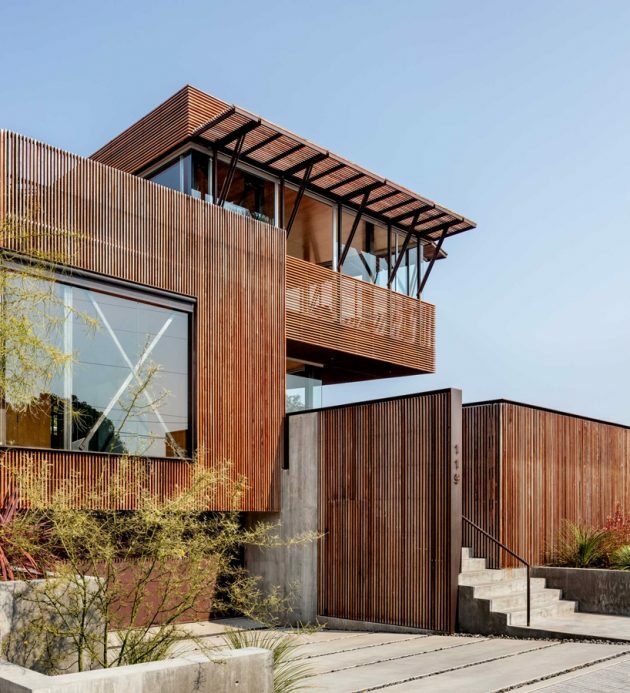 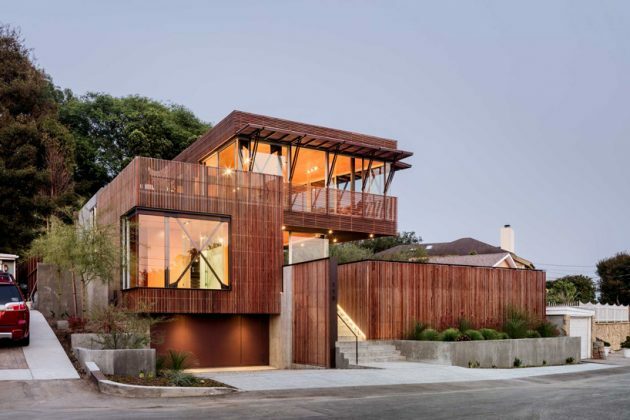 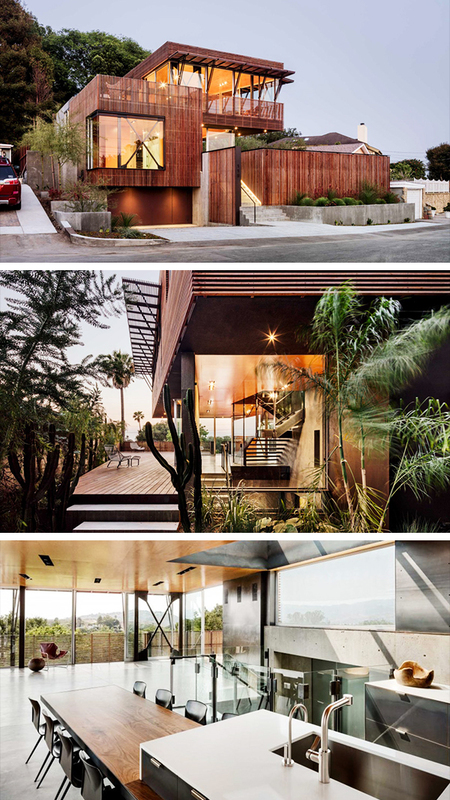 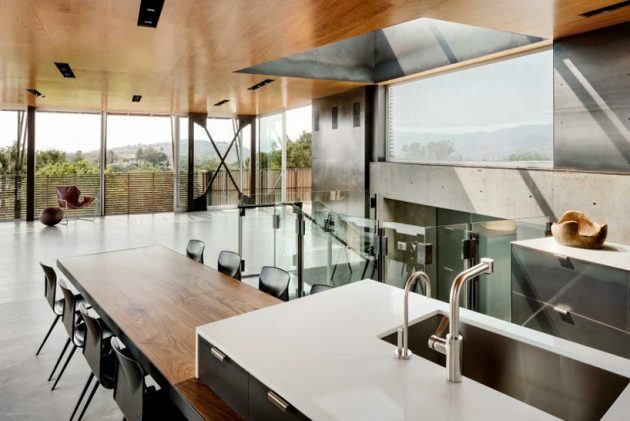 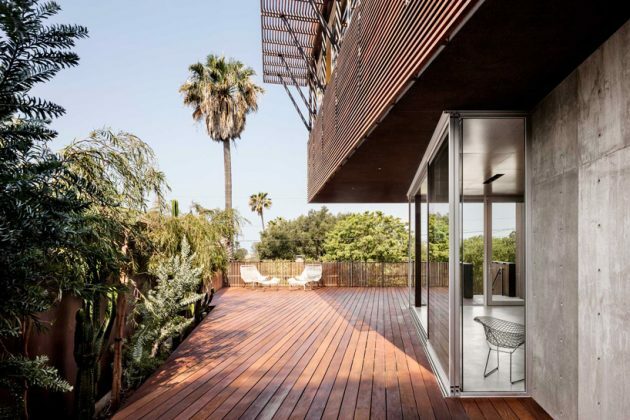 The Skyline Residence is a stunning Californian residence wrapped in Ipe wood screens and glass. 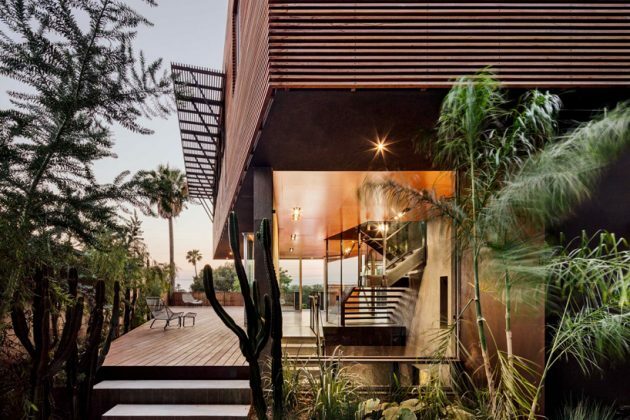 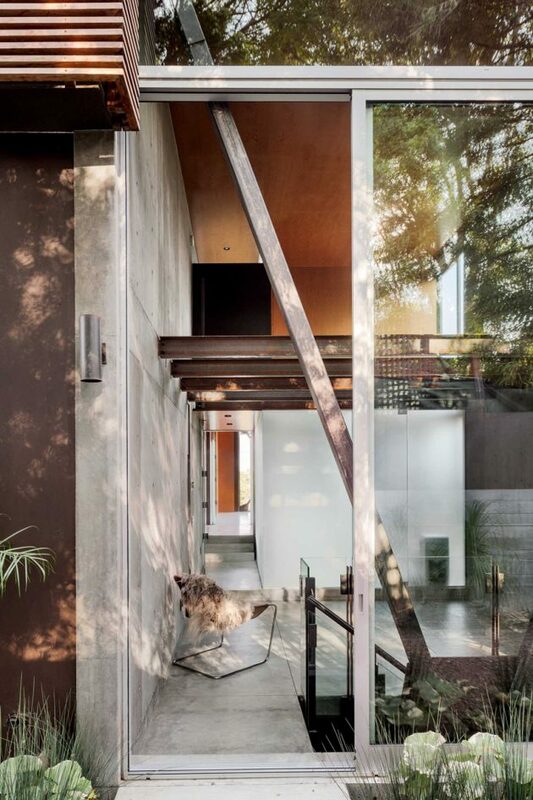 It was designed by Shubin + Donaldson Architects and is located on a narrow hillside plot in Santa Barbara. 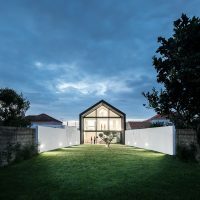 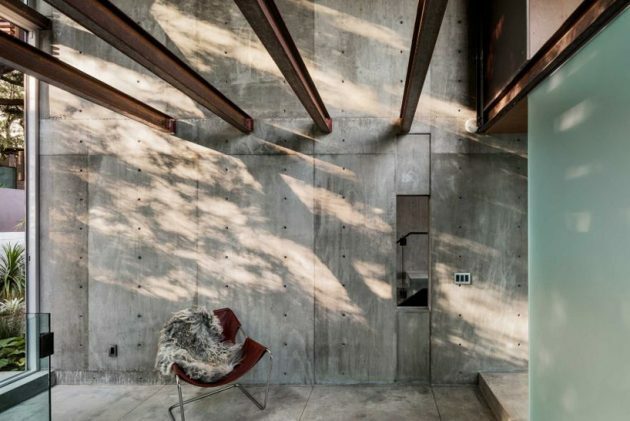 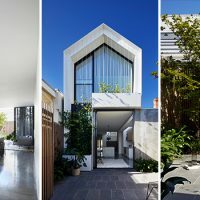 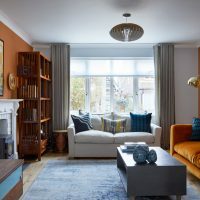 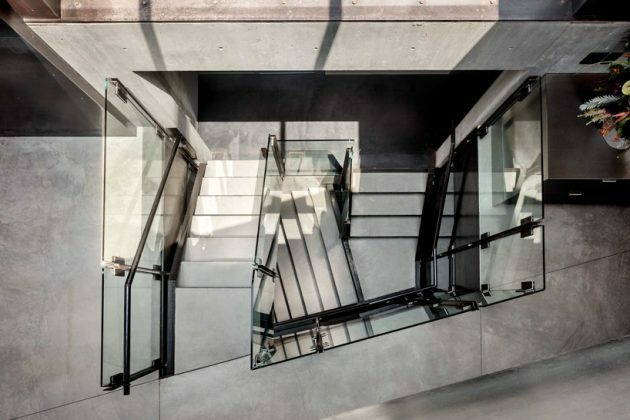 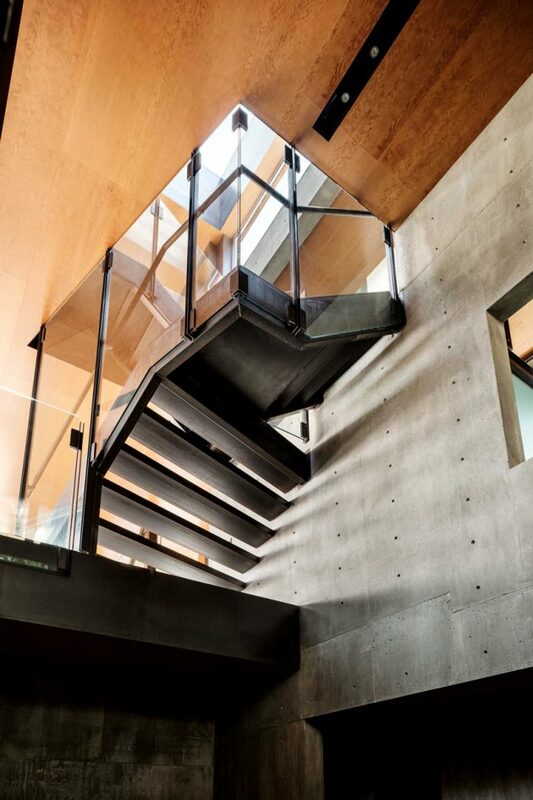 The home was designed for an industrial designer and their young family. 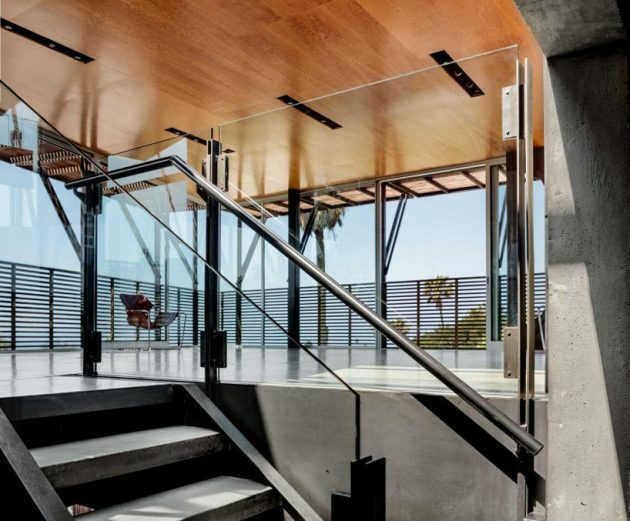 The interesting part about this residence is that the main living areas are located on the top floor, enjoying breathtaking panoramic views of the Pacific Ocean while the bedrooms are placed on the second floor and finally, the service areas are on the ground floor.